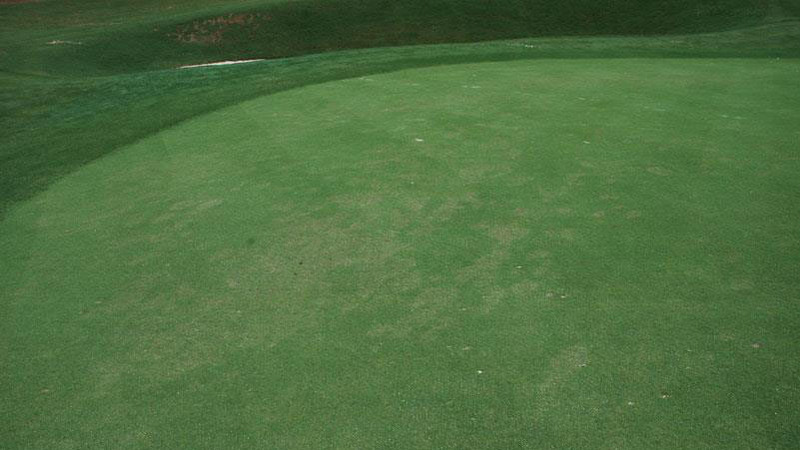 Pythium root rot is a persistent problem in areas that are poorly drained or over-irrigated. The disease can also occur in well-drained areas following extended periods of rainfall. Pythium root rot can occur at any time of the year as long as the soil remains saturated for several days or weeks. From a distance, symptoms are orange or yellow and usually appear in irregular patterns, but occasionally develop in spots or distinct patches. Symptoms of Pythium root rot may spread in drainage patterns during periods of heavy rainfall. On individual plants, the crowns, roots, rhizomes, and/or stolons will appear dark and greasy. The depth and density of roots will be drastically reduced in affected areas. 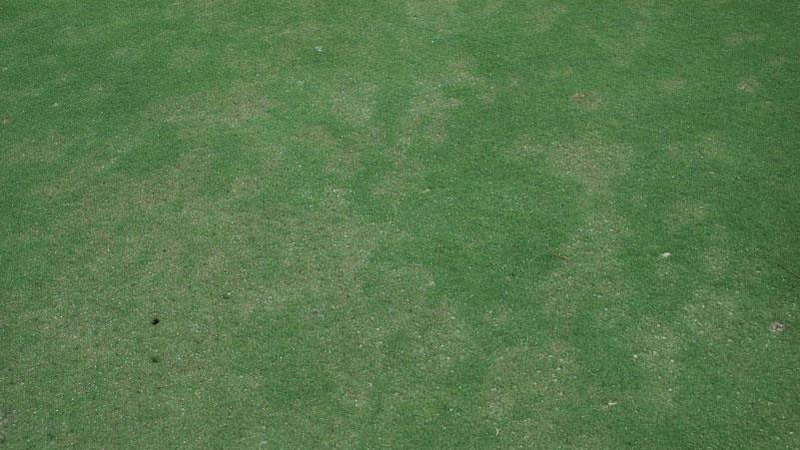 There are many species of Pythium that have the ability to cause root rot of turfgrasses. As a result, Pythium root rot can develop at any time during the growing season if the soil remains saturated for prolonged periods. 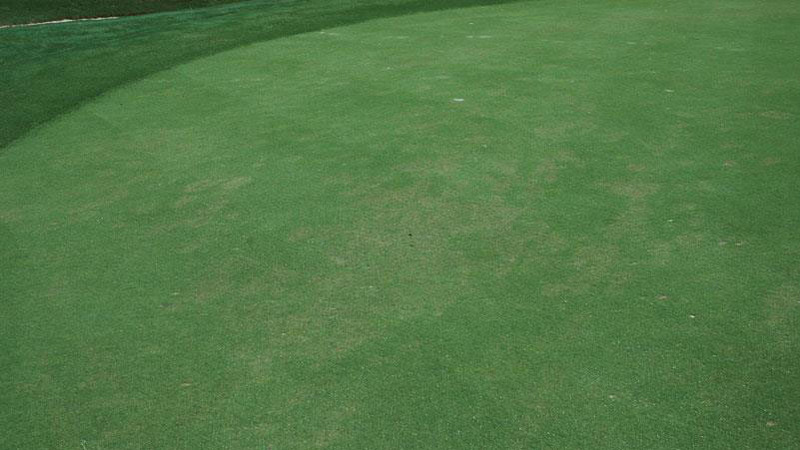 Poor surface or subsurface drainage, over-irrigation, heavy rainfalls, and excessive thatch and organic matter accumulation are the most common factors that lead to a Pythium root rot outbreak. 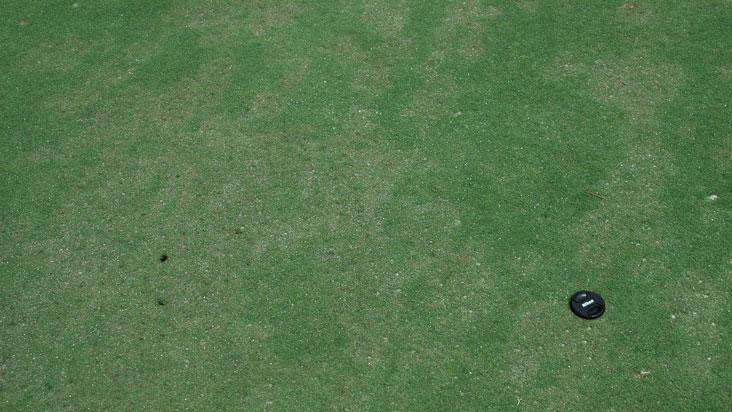 Avoid establishing turfgrasses in poorly drained areas that remain saturated for extended periods. Golf course putting greens must be aerified and topdressed regularly to control thatch and reduce organic matter accumulation. 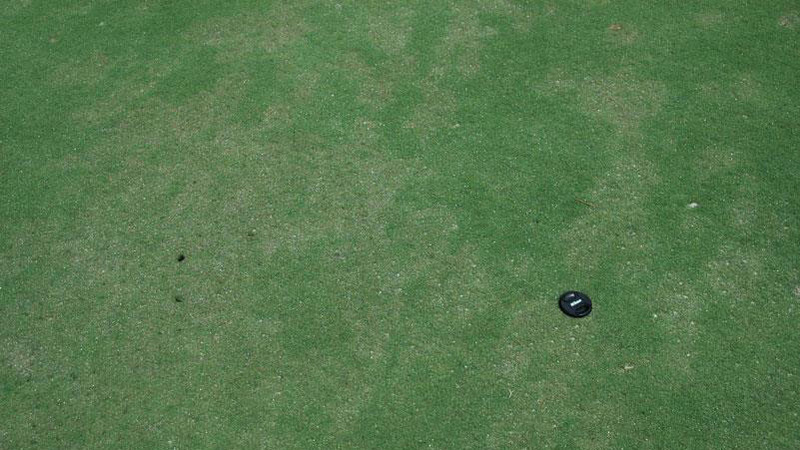 In general, 15% to 20% of the putting green surface area should be impacted by hollow-tine aerification annually, and 5000 lbs of topdressing should be applied per 1000 square feet each year. Pruning or removal of trees surrounding putting greens to increase sunlight penetration and air movement will reduce Pythium root rot activity. Installation of high-powered fans will also help to alleviate the problem where air movement is restricted. For golf course putting greens with poor internal drainage, reconstruction is the only practical long-term solution for Pythium root rot. Little is known about the relative efficacy of fungicides for Pythium root rot control. Where this disease has been a persistent problem, apply cyazofamid, mefenoxam, or propamocarb every 14 to 21 days during the growing season or when rainfall occurs for 2 to 3 consecutive days. For curative applications, first apply ethazole then follow with an application of cyazofamid, mefenoxam, or propamocarb 2 to 3 days later. To minimize the potential for foliar burn, ethazole must be watered-in immediately after application with at least 1⁄8 inch of water. Other fungicides should also be watered-in to drive the active ingredient into the root zone where the Pythium root rot pathogens are most active. Figure 1. Pythium root rot. Figure 2. Pythium root rot. Figure 3. Pythium root rot. Figure 4. Pythium root rot. Figure 5. Pythium root rot.